This stone, from the Volterra region of Italy, is a medium soft stone that will carve and polish easily. 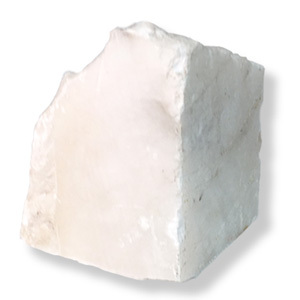 It is a solid white - light will not filter through the stone as it does with a translucent white alabaster. There may be some veining.